“Alea jacta est” – “The die is cast”: Even if they didn’t learn Latin in school, avid Asterix and Obelix readers could build up an impressive array of Latin sayings back in the day. Yet adults have long considered the adventures of classic comic heroes like Micky Mouse, Donald Duck, Asterix and Lucky Luke pure entertainment with no educational value for the next generation. This is no longer true though, as comics for kids of all ages have evolved and raised the bar on content in recent years. German authors are using humour, imagination, and thrills and chills to get children interested in reading, impart knowledge, and explore social and other issues children and young adults are likely to face. 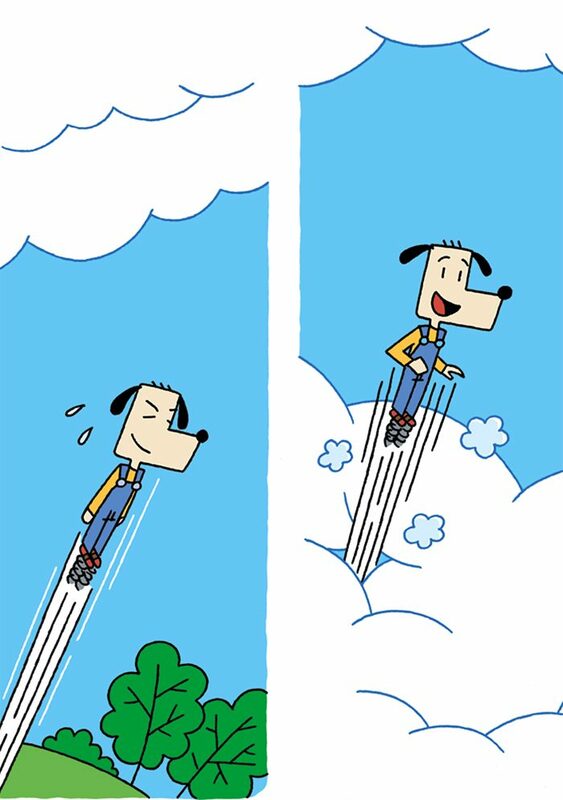 Many books of this new generation are collections of comics originally commissioned for children’s magazines, where they appeared as regular strips. 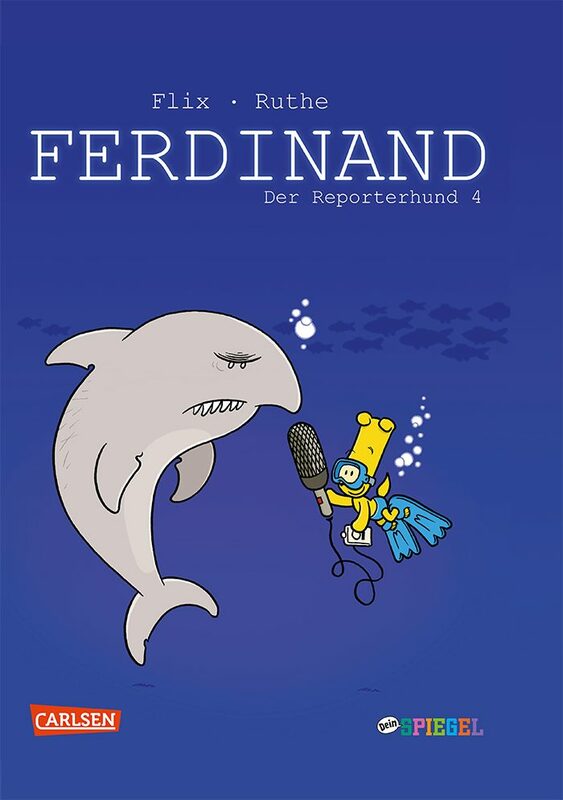 Children first got to know dog reporter Ferdinand and alien Q-R-T, for example, in “Dein Spiegel” (Your Spiegel), the children’s edition of the German news magazine “Der Spiegel”. 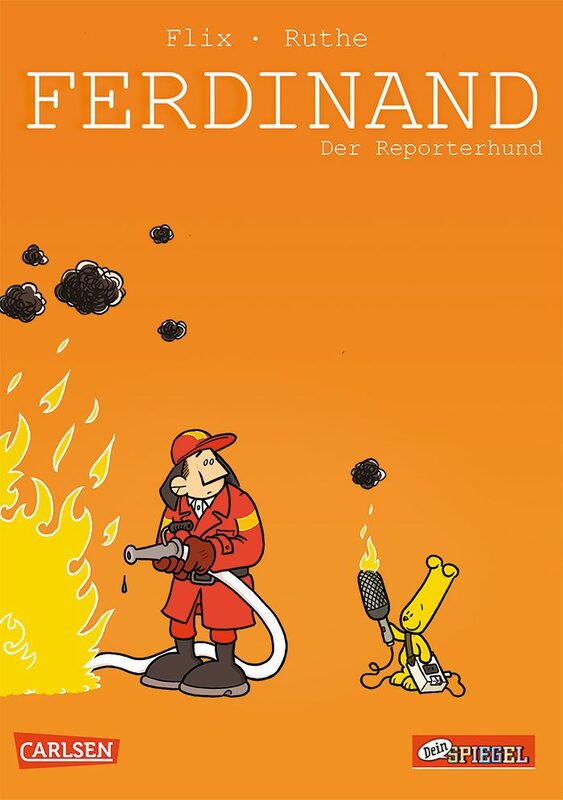 Ferdinand has been an integral part of the monthly magazine since “Dein Spiegel” first hit newsstands in 2009. In hot pursuit of a story, he visits the fire brigade, learns all about potato chips, talks to dinosaurs, sharks and kangaroos, ends up being saved by a whale, and looks into how fish fingers are made. 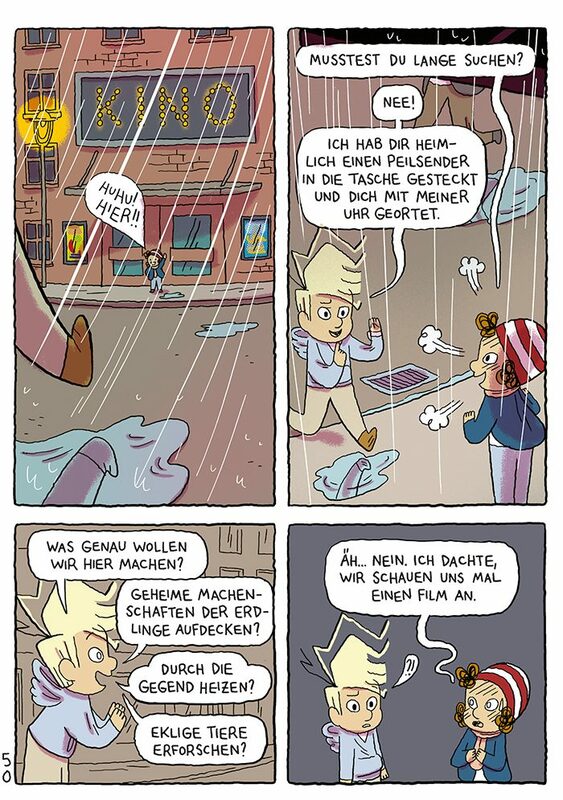 His adventures are wonderfully entertaining, as you’d expect from well-known cartoonist Ralf Ruthe and artist Flix, but they also convey a lot of interesting information to children. The series is now available in four volumes. 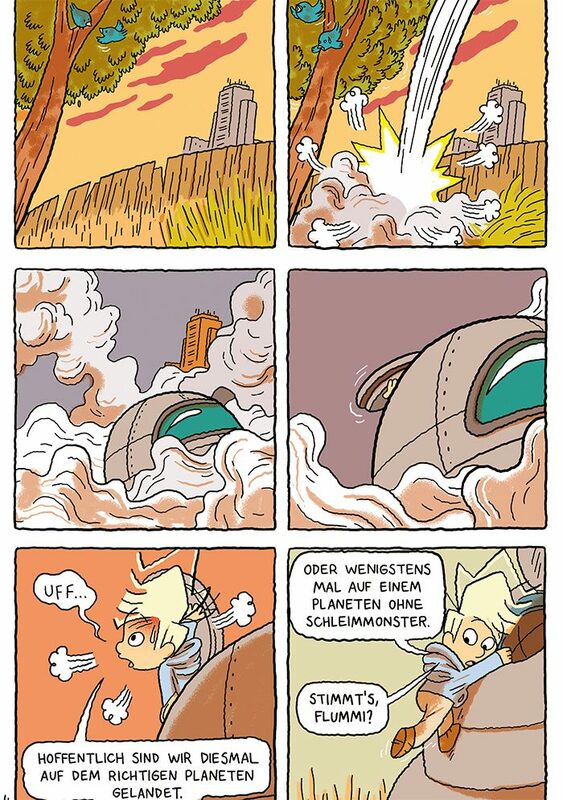 The Q-R-T science fiction series by Ferdinand Lutz also first appeared in “Dein Spiegel”, where it has been a regular feature since 2011. It is now available as a two-volume collection. 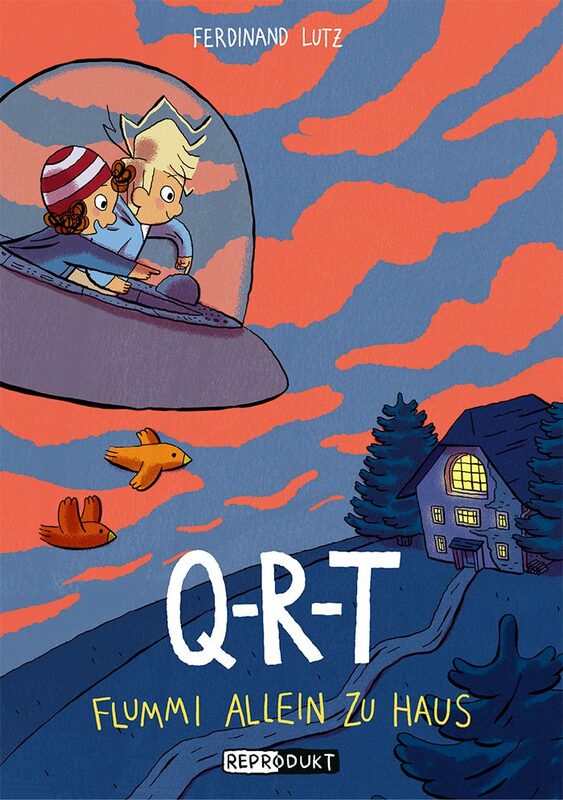 The story focuses on alien Q-R-T, who has come to Earth to learn about the planet and its inhabitants. 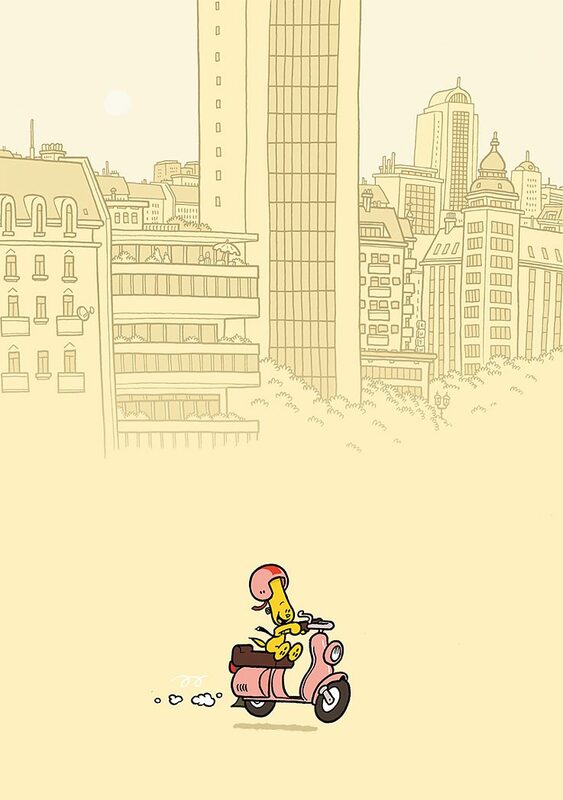 He moves into a high-rise housing estate, but doesn’t really stand out there since he looks like a child. 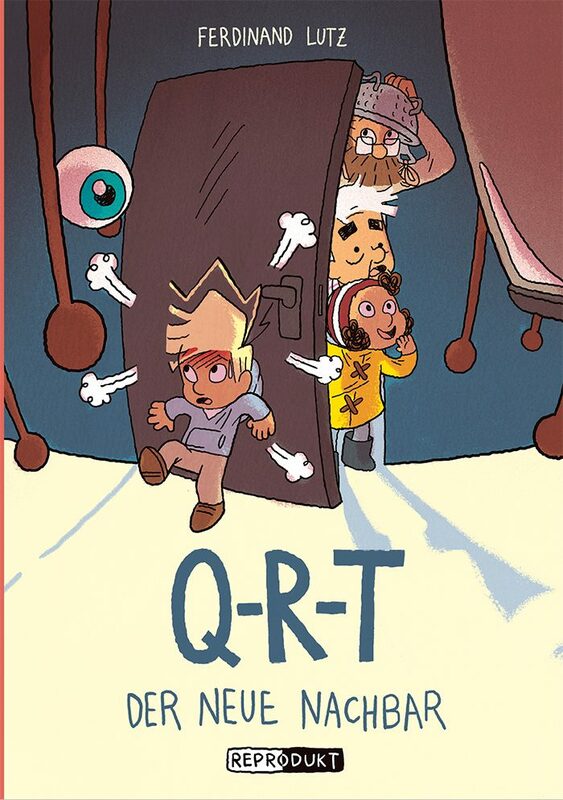 Readers join Q-R-T as he explores the foreign planet, and studies the peculiarities of people from a child’s perspective – like trying to figure out why children turn into bad-tempered adults. Comic authors also bravely tackle topics that interest older children on the threshold of puberty - be it first love or problems at school. Adults may find that Paula. 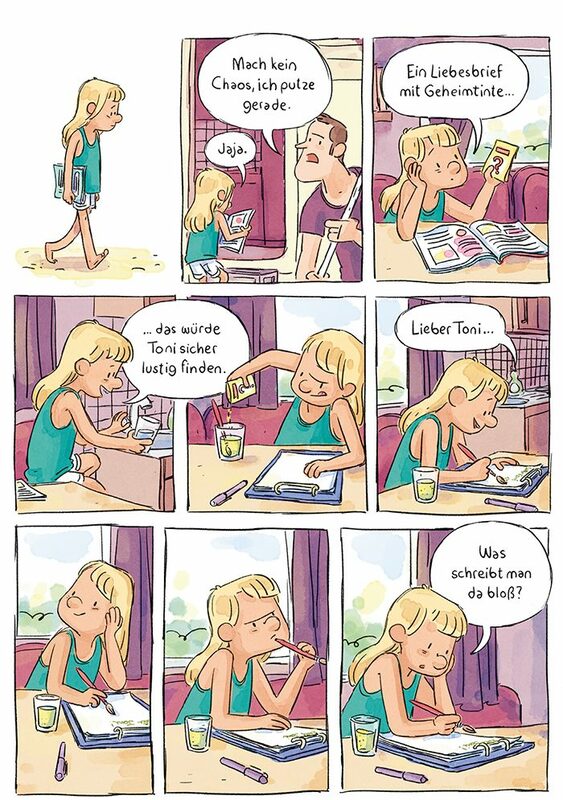 Liebesbrief des Schreckens (Paula. The Terrifying Love Letter, 2016) takes them back to that time of transformation from child to adolescent. 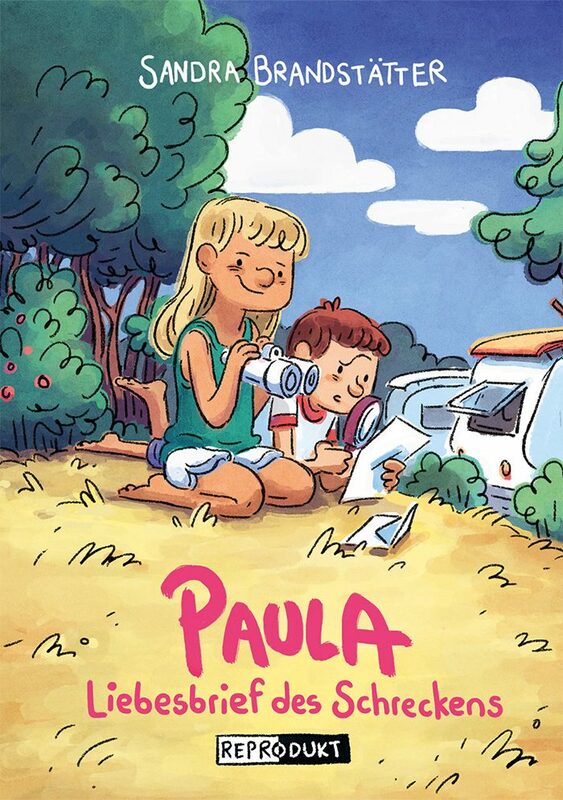 Young Paula and her friend Tonio are on a mission to identify the sender of a mysterious letter. As they investigate, Paula is confronted with different feelings for a boy for the first time. It’s not really love, but Tonio suddenly seems like more than just a playmate. Author and artist Sandra Brandstätter describes this ambivalent state sensitively and entertainingly and sets it against a plot worthy of a screwball comedy. Patrick Wirbeleit is one of Germany’s most prolific children’s authors. 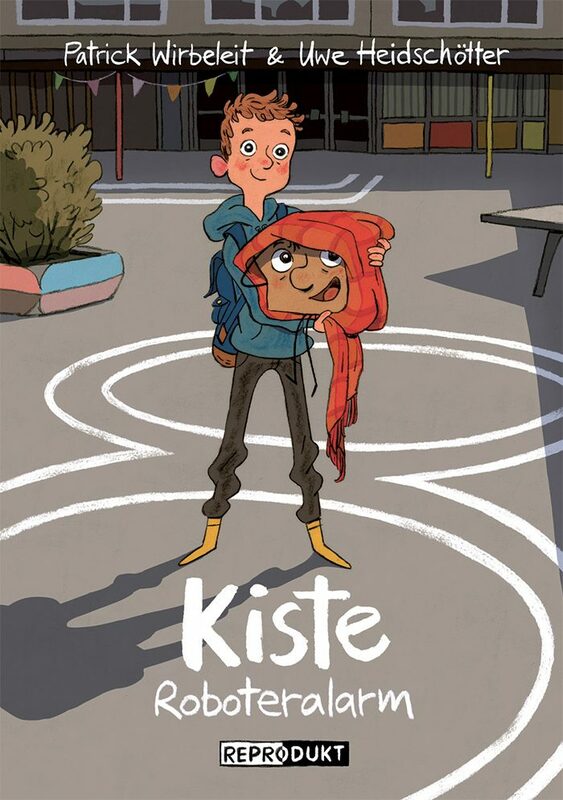 The comic series Kiste (Box), which he developed together with the artist Uwe Heidschötter, was awarded the Leipziger Lesekompass (Leipzig Reading Compass) in 2015 and received the Max und Moritz Prize for “Best Comic for Children” in 2016. 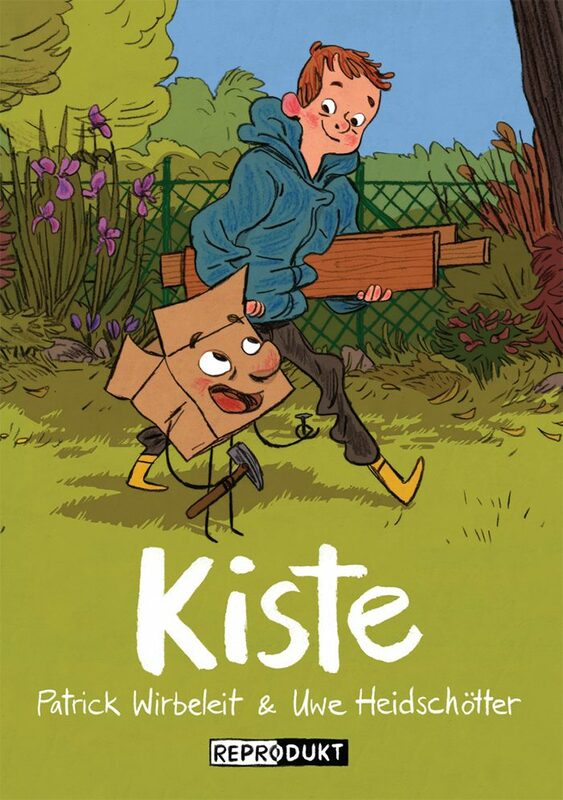 Kiste is a talking cardboard box Mattis finds on the street. He befriends the cheeky cardboard pal, who is full of mischief, and together they go on numerous adventures. They build an observation tower out of driftwood, and Mattis takes Kiste to school with him. Wirbeleit skilfully combines natural dialogues and fantastic elements while shedding light on the everyday bumps along the road from boyhood to young adulthood. 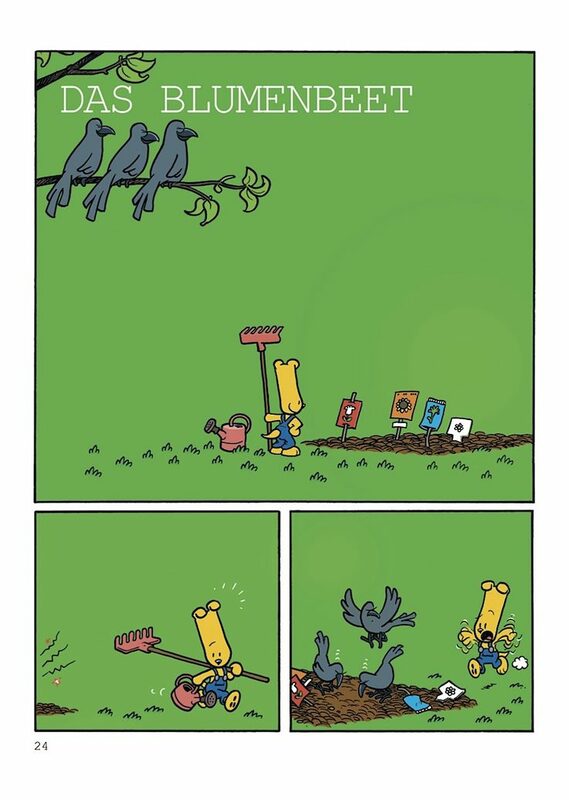 Comics for toddlers often tell a story through pictures alone. 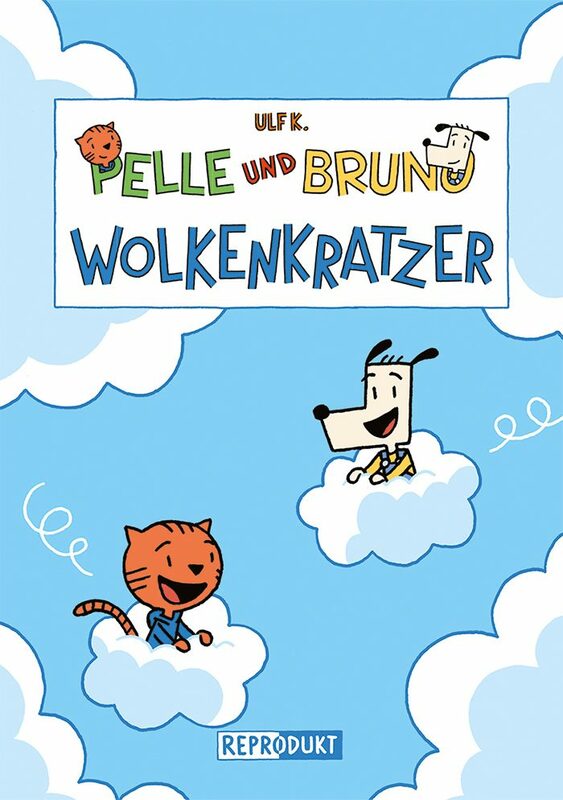 The books about Pelle and Bruno by artist Ulf K. are a mixture of picture book and comic strip. 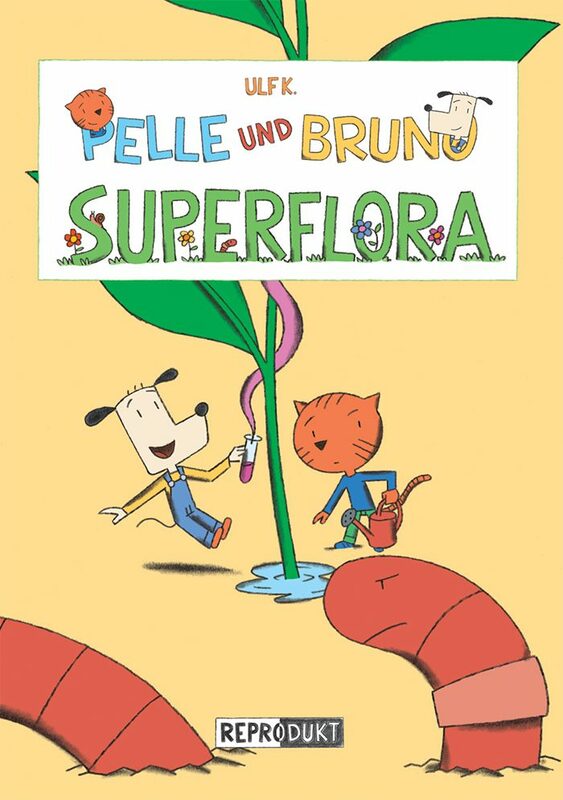 The unlikely dog-and-cat duo, one bold, the other sensible, go on fantastic adventures, donning a pair of jumping shoes they use to hop straight up into the clouds, and tending a garden where Bruno’s super fertilizer has the plants growing taller than a house. 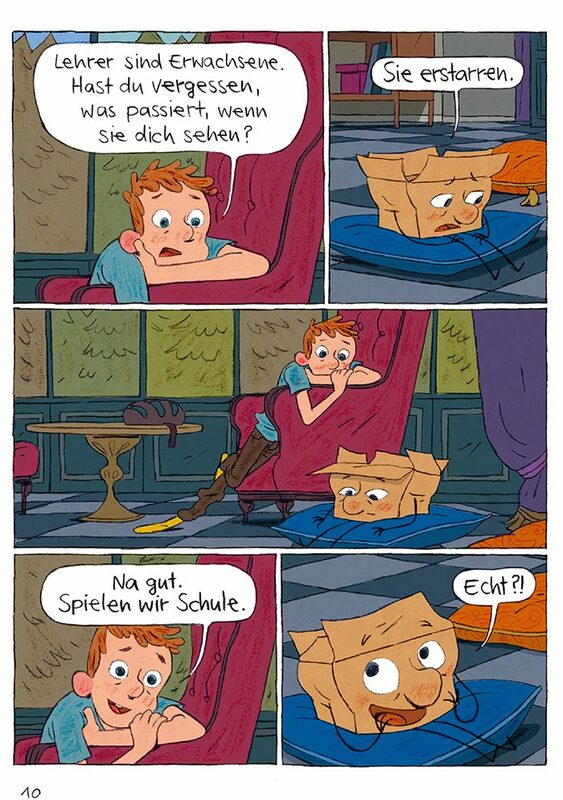 Stephan Lomps’ Der kleine Bagger. 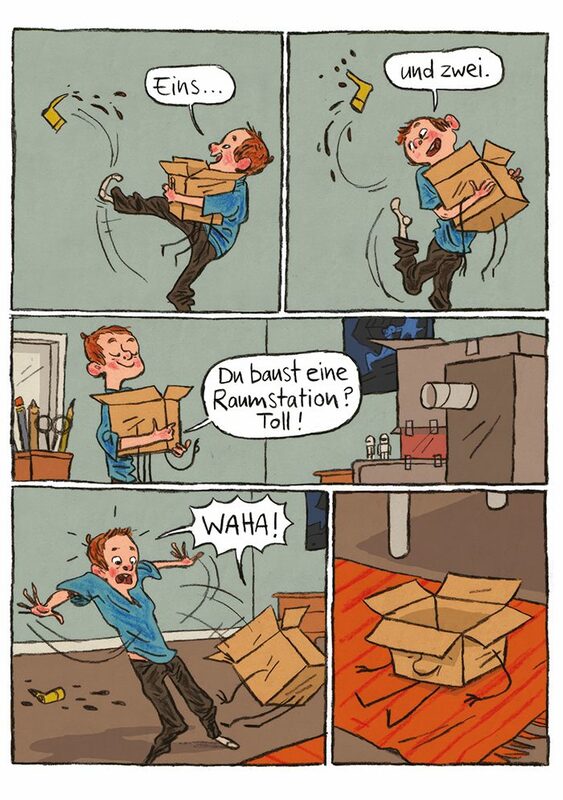 Abenteuer auf der Baustelle (The Little Digger: Adventure in the Building Yard, 2018) is another children’s comic with no words. 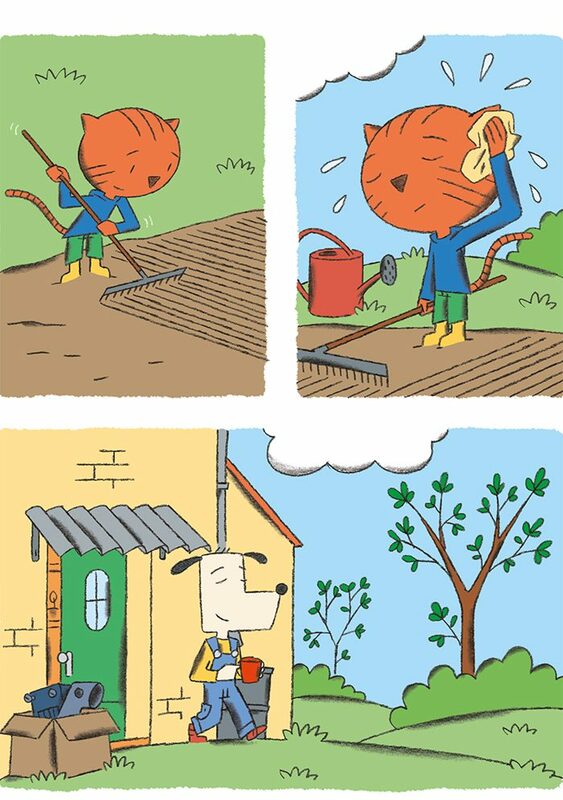 The story is about a small digger that has to make its own way in a world of giant diggers. He bravely holds his own amidst all the big machines on the building site and quickly discovers that being small can sometimes be a big advantage. In this, he is bit like Asterix - the short and slender Gallic warrior whose ingenuity and smarts make him an indispensable for the survival of his village. Matthias Schneider is a cultural scientist and freelance cultural journalist who curates film programmes and exhibitions on comics and graphic novels. Copyright: Goethe-Institut, Matthias Schneider . This work is licensed under a Creative Commons Attribution – Share Alike 3.0 Germany license.